Thirty teachers and students from “Happy Summer Vacation – Make Friends with Football Games” themed summer camp of Shanghai International Youth Football Tournament and local reading friends in Yichuan community attended the "Literary Family” public reading activities on the afternoon of July 9. 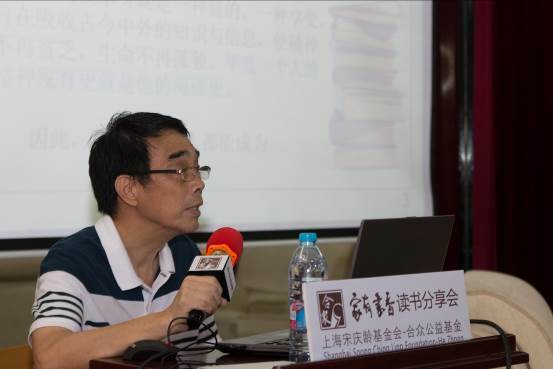 The author of the book "How the academicians live and work”, Mr. Fang Honghui told all the attendees the stories about academicians who made great contributions to the national construction, helping them approach the academicians, understand and recognize the academicians. Organized by Shanghai He Zhong Arts and Culture Exchange Center, funded by SSCLF - He Zhong Public Welfare Fund, "Literary Family” public welfare reading activities were alternately held in Shanghai communities, with aims to cultivate reading habits in families, create a good atmosphere for the healthy growth of children, and enhance self-confidence in the process of reading. 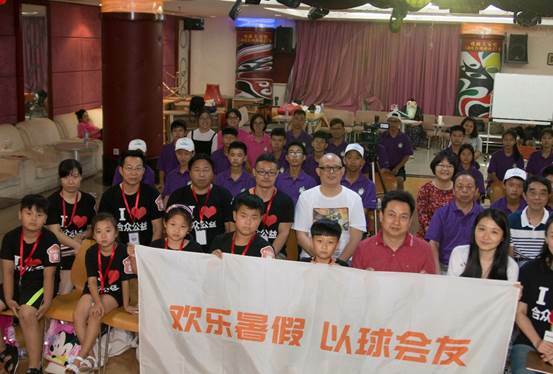 The nine - day "Happy Summer Vacation – Make Friends with Football Games” themed summer camp is a public service activity financially supported by SSCLF - Lu Jiaxian and Gao Wenying Special Fund. Attended the summer camp were seventeen young athletes and teachers of Fushan Middle School football team in Qingtian county, Zhejiang province, in addition to thirteen teacher and student football fans from SSCLF’s “Farmer Entrepreneurship Relay Baton" project point in Guangxi Zhuang Autonomous Region.